Bronwyn Rodden holds an MA Writing (UTS) and won the Patricia Hackett Prize for short fiction. Her stories and poetry have been published in literary journals in Australia and the UK. 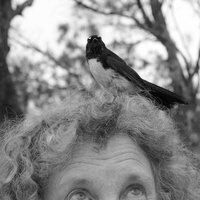 She was awarded an Emerging Writer Grant by the Australia Council for the Arts, a Fellowship to the Writers Cottage at Bundanon and was selected for the Hachette/QWC 2009 manuscript retreat. Her collection of short fiction ‘Darkness’ has been longlisted for the Carmel Bird Digital Literary Award 2018. Bronwyn hasn't published anything yet.